AKIPRESS.COM - The Tokyo 2020 Olympic golf venue has voted to admit women as full members, reports BBC. 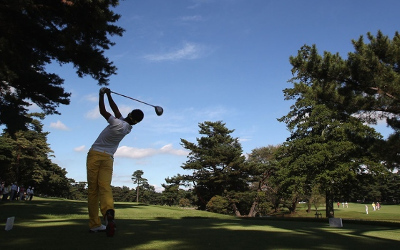 The Kasumigaseki Country Club risked being stripped of the event if it did not change its membership policy, after being warned by the International Olympic Committee earlier this month. Women were previously not allowed to become full members or play on Sundays. The Tokyo 2020 organising committee says the club's regulations have been changed following a unanimous decision by the executive board. "On behalf of the Tokyo 2020 Organising Committee, I'd like to extend my gratitude to the members of the club for their understanding and cooperation," said committee president Yoshiro Mori. "I also would like to express my admiration for the club's endeavour to come to an agreement in such a short period of time." Rio 2016 was the first time golf event had been part of the Olympic programme since 1904. South Korea's Inbee Park won the women's title, with Great Britain's Justin Rose securing the men's. Muirfield golf club recently voted to admit women as members for the first time in its history and was reinstated as a venue for the Open Championship.